I like to borrow nifty notions from our quilting sisters – today, it’s a great little gadget called the Sewing Edge. It is used by quilters to keep that 1/4″ seam allowance. Well, guess what? Bra-makers can use it too! 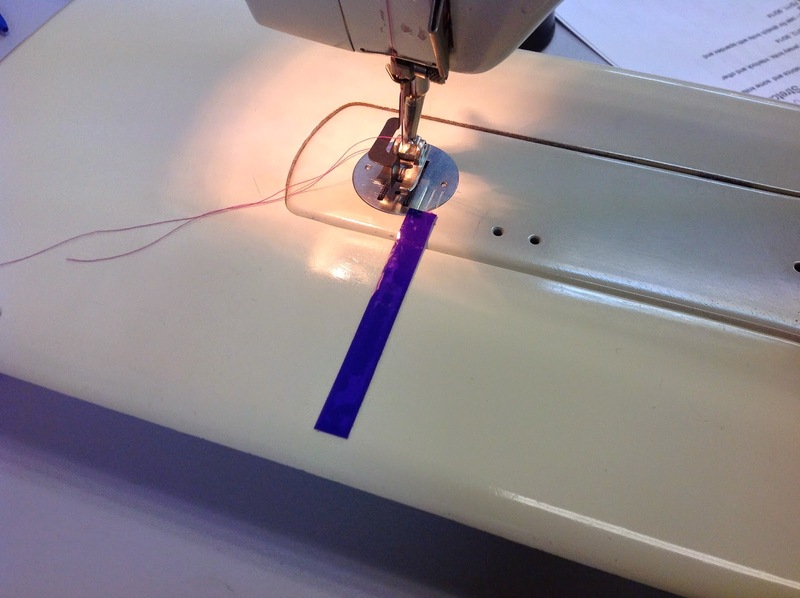 The Sewing Edge is a simple piece of PVC (or some such plastic-y substance) that sticks to your sewing machine bed and keeps your seam allowances exact. Here we have it a lovely Bernina 830, but it works on new machines too! Place it along where the edge of the fabric will run and it will stick until you remove it. It’s that simple! When you lay the fabric up to it, the thickness of the Sewing Edge keeps the fabric running smoothly but it is not so thick that it gets in the way or your hands or any snips that might be around. 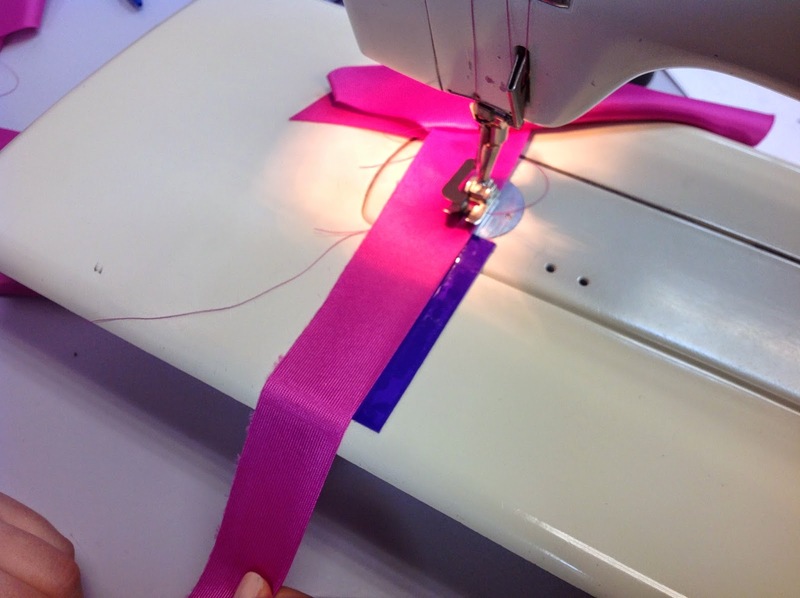 Imagine how easy sewing a thin spaghetti strap could be! One thing I thought of is to use it at the cover stitch machine to keep the hem edges where they need to be so you can stitch along the edge. If you use a cover hem, you know this isn’t as easy as it may seem. You have to sew from the right side of the work, so you can’t see where you need to stitch. The two needles need to straddle the raw edge of the fabric. By sticking the Sewing Edge to the left of the needle the distance of the width of the hem, you will be able to glide the fabric along and it will keep them hem where it needs to be. Voila! A perfect cover stitched hem! The Sewing Edge comes in a package of 5 so you can have one at each machine, or you can share them with your sewing buddies. We sell them at Bra-makers Supply (of course we do – I love Nifty Notions!) Product Code NT-003. Awesome, Bev, just like you!